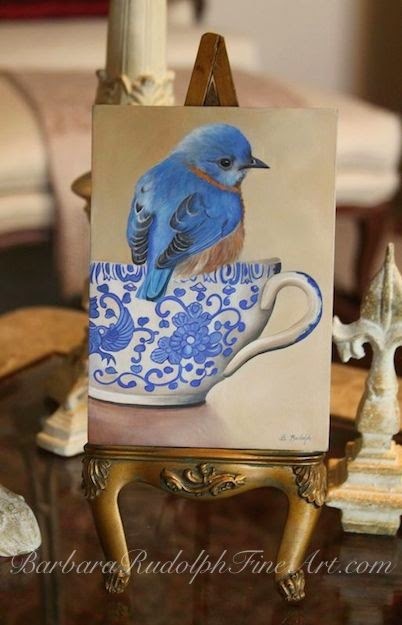 This brand new oil painting has a little "bluebird" sitting on a blue and white teacup. 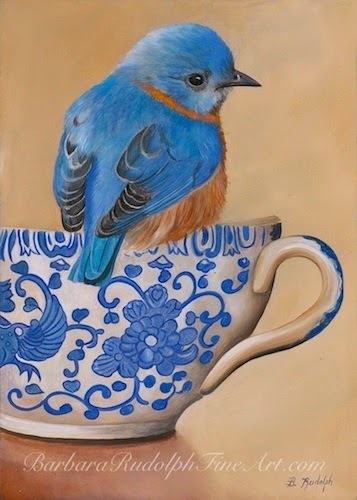 It will make a nice companion piece to go with several other of my little "birds on teacup" paintings. I have a special offer going on now to purchase this little 7 x 5" painting in a "Giclee - print on canvas board." It would make a wonderful gift for someone too.